At Glenbrook Dodge Chrysler Jeep® RAM, we work hard to be the Indiana Dodge dealers you rely on to stock new Dodge models. Whether you’re interested in a new sedan or family-friendly SUV like the 2018 Dodge Journey, our team can address your questions and help you find a trim level and configuration that works best for you. The 2018 Dodge Journey offers reliability, affordability, and versatility, which make it a perfect family vehicle. This spacious midsize SUV is available in four trim levels: the 2018 Dodge Journey SE, SXT, Crossroad, and GT. In addition to trim offerings, you have a choice between the standard 2.4-liter four-cylinder engine paired with a four-speed automatic transmission and an available 3.6-liter V6 engine with a six-speed automatic transmission. In terms of drivability, the Dodge Journey serves up a smooth ride and a comfortable interior that will make long road trips easy and enjoyable, thanks to comforts such as a 60/40 slide-and-recline second-row seat and options for managing seating temperature. To test out the comfort level for yourself, reach out to our local Dodge dealers near Auburn to arrange a test drive. Other features enhance the ease of enjoyment in the 2018 Dodge Journey. At the base trim level, you have the option of adding in-car technology such as Bluetooth® and USB port connectivity as well as voice command. Stepping up to the 2018 Dodge Journey SXT trim level yields access to a larger 8.4-inch touchscreen along with conveniences such as three-zone climate control and safety aids such as a rearview camera and rear parking sensors. Speak with our Dodge dealers serving Indianapolis to learn about all the ways you can boost the entertainment value or safety profile across the trim-level lineup. 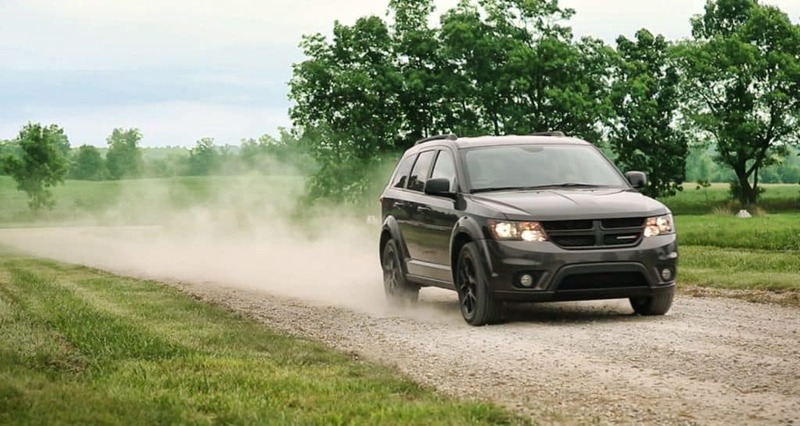 If you’re ready to take home your own 2018 Dodge Journey, visit our Dodge dealership in Fort Wayne, IN. We’ll be happy to set up a test drive, field questions about trims and packages, or help you identify the best financing arrangement.